So what can I do now? Just purely hiking, I guess – chill hiking. HAHA! Since I started hiking I have wished that I could see Sea of Clouds. In Cebu, the chance to witness this kind of natural phenomenon is very slim. Maybe I was just lucky recently for during our Mt. Naupa sunset hike and camping at Mt. Mago, I had the chance to see this Sea of Clouds. It wasn’t as splendid as I had expected though. Nevertheless, I enjoyed hiking here in Cebu with its verdant scenery and magnificent geographical landscape making the place a mecca for hikers. The Sea of Clouds was sort of a reward. When photos of Sea of Clouds of Bohol became viral in Facebook, I wanted to see it for myself if it’s really something to be awed and also because I haven’t yet set foot in Bohol. We arrived in Bohol and let me ask you this. What’s this famous tourist spot in Bohol. the name of which is derived from a sweetened-flavour food? This tourist spot looks almost unnatural, because its features, which look like humps, have almost the same proportions and symmetry. These hump-like features are so plentiful that they could hardly be counted. Well, let’s go back to the main topic, the Sea of Clouds. After chocolate hills we rode habal-habal to Danao, Bohol. But then, when I looked up, I saw millions of stars showing their dazzling glimmering beauty. I even saw a shade of Milky Way. I was enthralled by the sight. 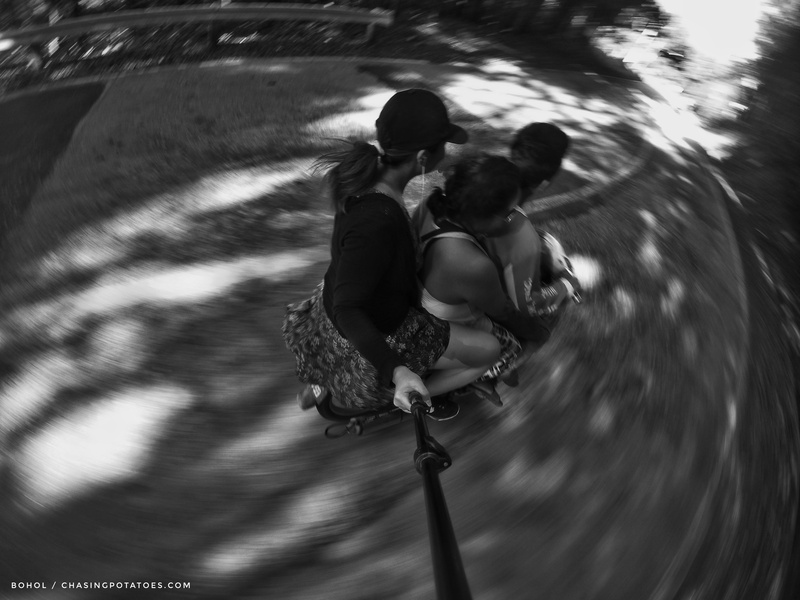 Then, I became unmindful of the discomfort of the habal- habal ride. We passed through ordinary trees that stood along the road. The fireflies flying around them revealed an extraordinary sight. I was enchanted with what I saw. It was magical. I never thought I could still witness those fireflies. They were like thousands of fairies having a get-together party making the tree glow with effulgent beauty. It was the longest habal-habal ride I ever had. It was almost an hour when we reached Danao from Carmen. Despite the uncomfortable ride, I was still amazed by the seemingly ethereal things I saw during the ride. After we ate our dinner, we climbed up to the campsite and would have pitched our tent but some of my friends opted to sleep out. So, we laid our jaded body on the “trapal”. We called it trappeling. Hahaha! They decided to sleep out because the air was humid and hot. But then hours later it was freezingly damn cold (oh-oh, bad decision) but still too lazy and too tired to put up a tent. Haha! But here’s my problem. I had a hard time falling asleep (just like falling in love, charot.) I could not sleep because I was too excited to see the clouds. If only I could video… thin clouds were already forming right beside me I mean at the right part of the mountain. That night I couldn’t keep my eyes shut, couldn’t take myself into slumbering mode. I was wide awake the whole time and restless. 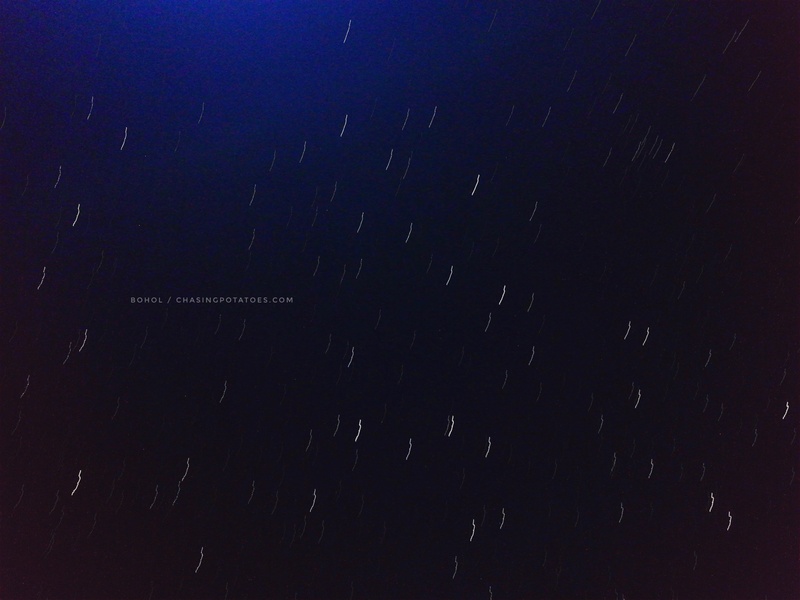 How could I sleep when above me were billions of stars stuck on the skies? Some of them started falling like raindrops and vanishing into thin air. 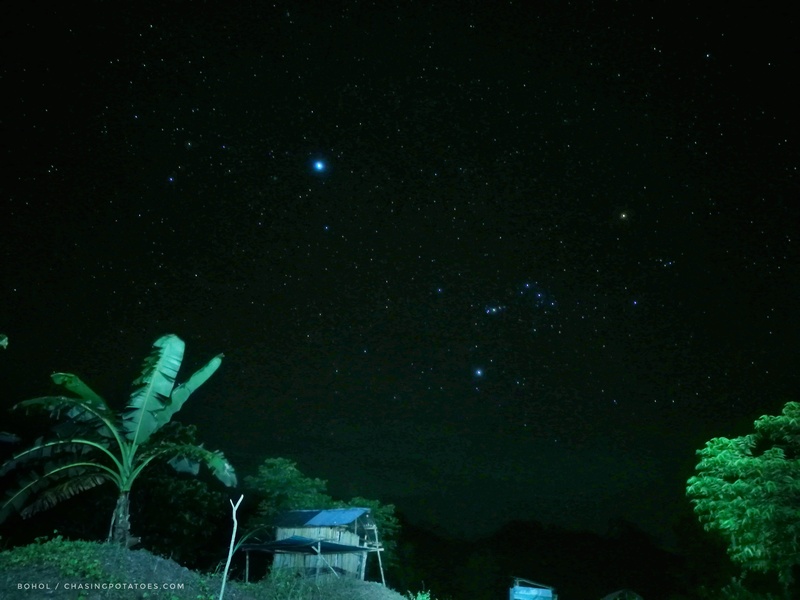 If I spend the night sleeping, how could I see the beautiful happening up above the firmaments? How could I afford to miss making a wish after seeing a falling star? How could I not feel the bliss in seeing these spectacular scenes which I couldn’t see every day in my melancholy life? These were the moments I wanted to live again. 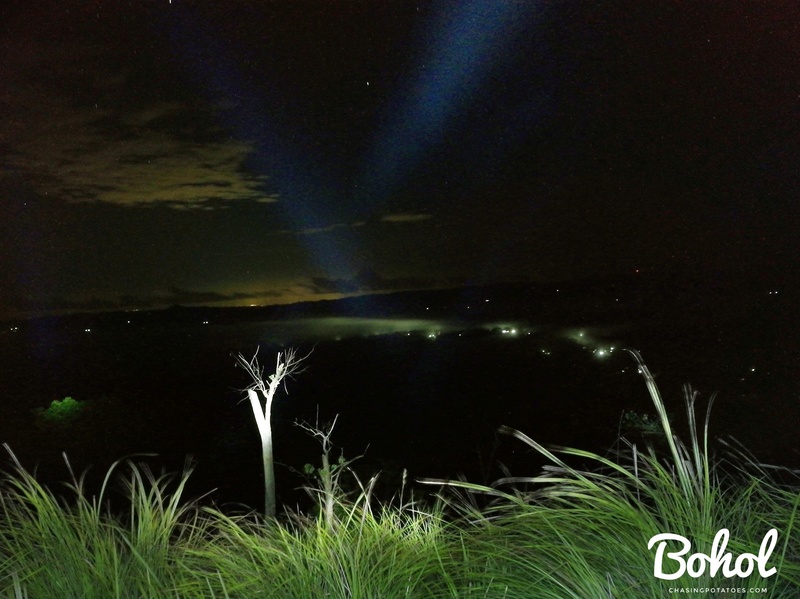 At 4:30 am early in the morning, travelers, tourists, and locals, began to flock and climb the mountains trying to find a good spot and position to view the Sea of Clouds. This is where we positioned ourselves in order to view the Sea of Clouds and the sunrise which started to show darling hues. 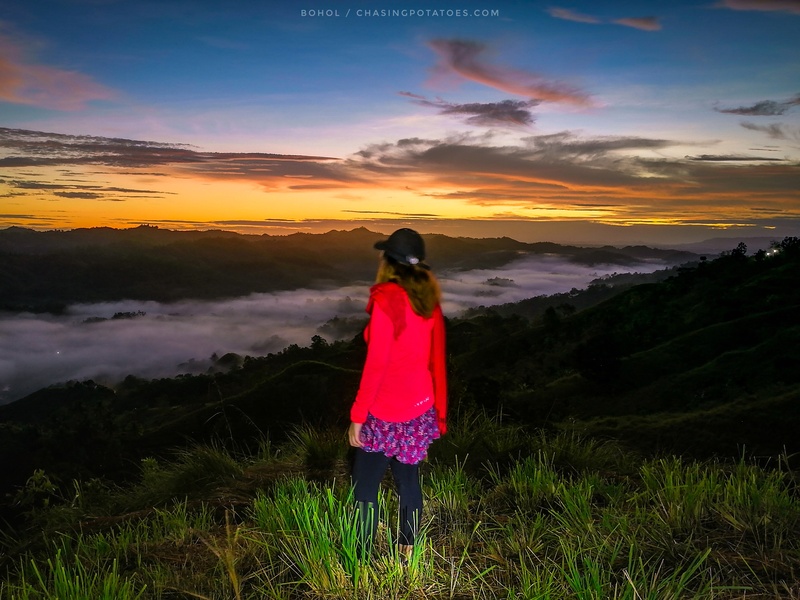 So the scenery we had been waiting for —the scenery of Danao Highlands and landscapes and the white foamy gasses of the Sea of Clouds—gradually revealed through a tinge of light from the rising sun, showing forth blazing hues in the sky and diminishing the sight of millions of stars. The Sea of Clouds has finally become visible. I uttered. At last I have seen the famous Sea of Clouds in Bohol. 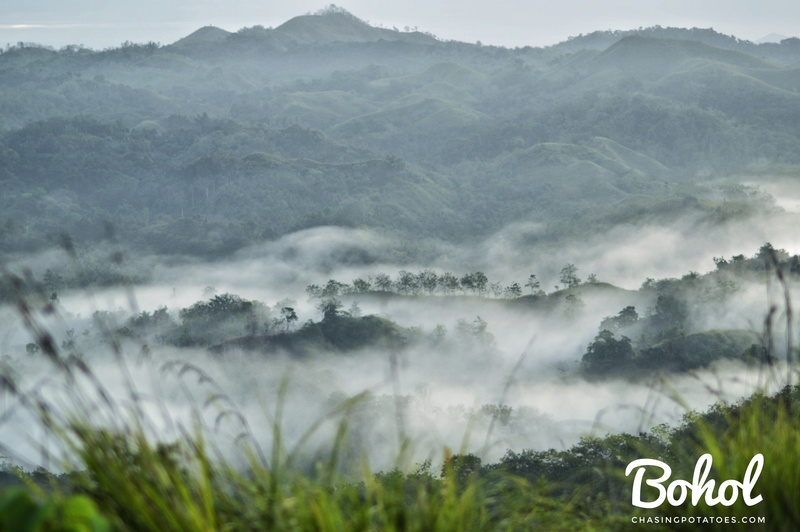 The Sea of Clouds is not the only beautiful scene in Danao, Bohol. At the other side of the mountain lie some marvelous mini rice terraces. 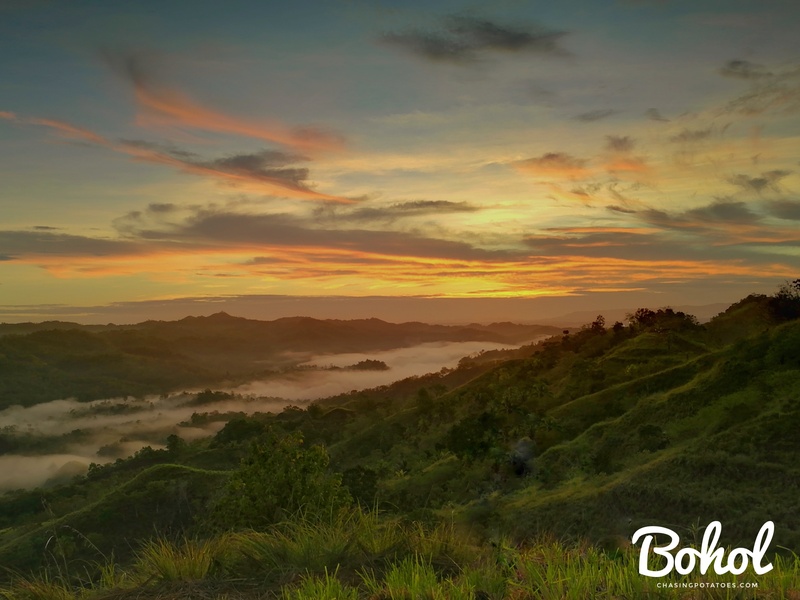 Every nook here in Danao, Bohol are spots where your eyes will never cease to feast on and to marvel. Climbing the summit to have a good view of the Sea of Clouds took us 15-20 minutes. It was easy as there was an established trail making people of all ages from youngsters to grannies climb with less effort to witness the Sea of Clouds. What struck me most was that the locals who guarded the area had a first aid kit ready. See, just how much they cared for the tourists who visited the place. Haha! 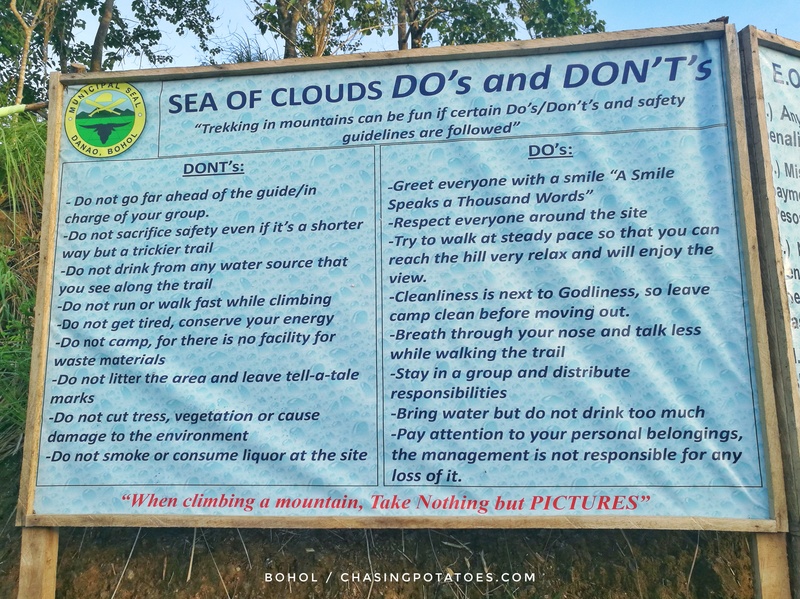 So before climbing and witnessing Sea of Clouds kindly read the dos and don’ts..
As what I have recently known from our guide Kuya Rufino (Penoy) Labrador, camping is not allowed unless supervised or accompanied by a guide. Just contact Kuya Penoy (0948 – 779 – 9629) through this number if you plan to camp. Just like the weather, Sea of Clouds is unpredictable. Some days the clouds are thin, thick or nothing at all. Better check the weather first in going there. Sea of Clouds does not appear if there’s a typhoon or if the weather is windy. If you want to avoid sea of crowds, go there on weekdays. Expect that you will climb a mountain so wear proper attire like trekking shoes or sandals and jacket ‘coz the temperature is cold. Our habal-habal driver from Carmen to Danao was Kuya Penoy and friends. We settled for a fare of P200.00. We paid them P150.00 as guide fee. There are stores that sell water and snacks. Go there early in the morning, or at dawn to be able to witness sunrise, too. Viewing the Sea of clouds is in the morning only unless the clouds won’t fade away. Anyway, ever curious what’s inside a chocolate hill? Well it is filled with brown chocolate limestone layered with vanilla gravel and sprinkled and garnished with fresh wild grasses. Hahaha. Yum yum! 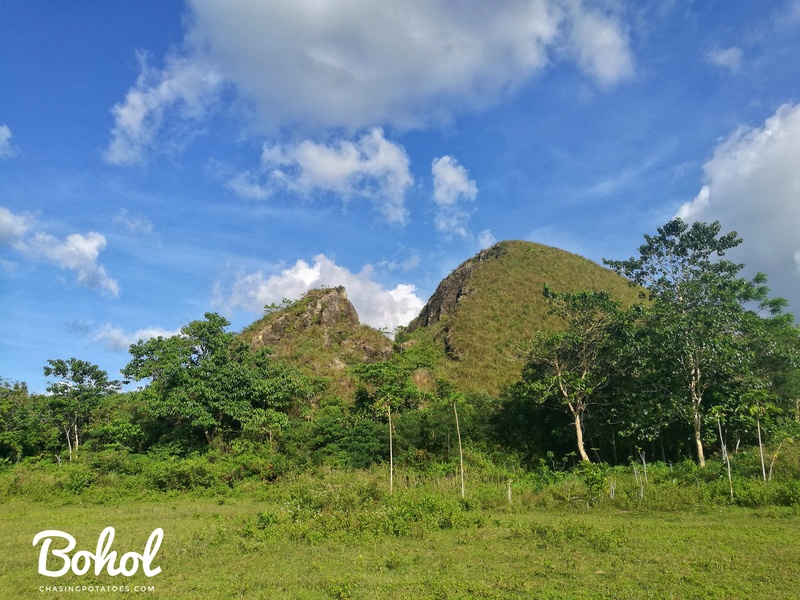 Our first hill encounter was this “Liki na Chocolate Hill” located in Sagbayan, Bohol. There were hills which were completely fine in shape at the vicinity but this specific hill was damaged and destroyed by the earthquake in October 2013. This hill served as a reminder of how strong and catastrophic the tremor was that killed a number of lives and damaged millions worth of properties in Bohol. All I could say was that everything was in order, the universe conspired with us, the weather was perfect. 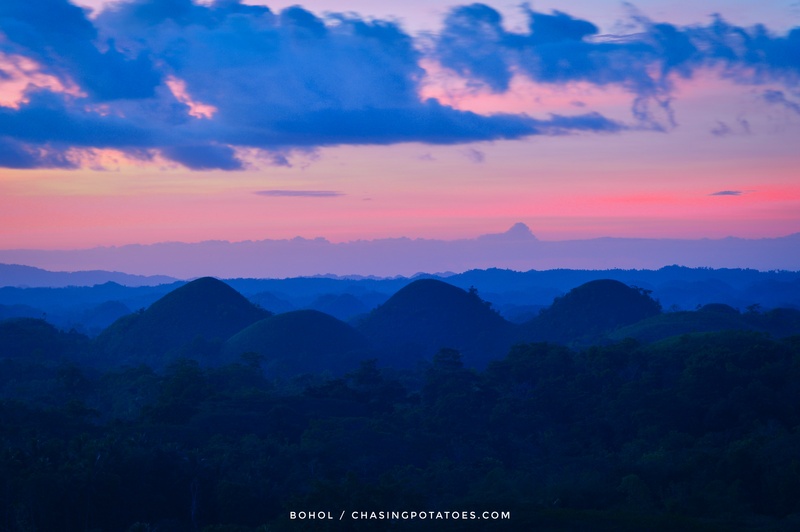 I saw the Chocolate Hills with beautiful blazing colors of sunset at the background. All the time I silently uttered the word beautiful wishing that time would stop and I would watch this scene endlessly. Sunsets are beautiful. That’s why wherever I go, I always make sure to watch sunsets. I don’t know why but sunsets give me a satisfying feeling that positivity may come along every venture I take, that every good undertaking will be better and every better will become best. Tip : Just like the Sea of Clouds, sunsets do not showcase the same beauty but exposes different flavours every day. Some other time sunsets don’t show at all if the sky is covered with gloomy clouds. So better check the weather first if you would like to view sunsets in Chocolate Hills, too. Not really a fan of rice terraces, I was awed in admiration not because of their beauty but by the industry and the painstaking effort of the farmers in constructing them. How did they carve and dig up earth to make this kind of landscape? We should really be grateful to the farmers, for without them we would not be here today, we would have no food to eat, we wouldn’t have existed in this world. Anyway Cadapdapan Rice Terraces were not as magnificent as those in Cordilleras, but still their beauty and the exhaustive effort in making them can captivate one’s heart. 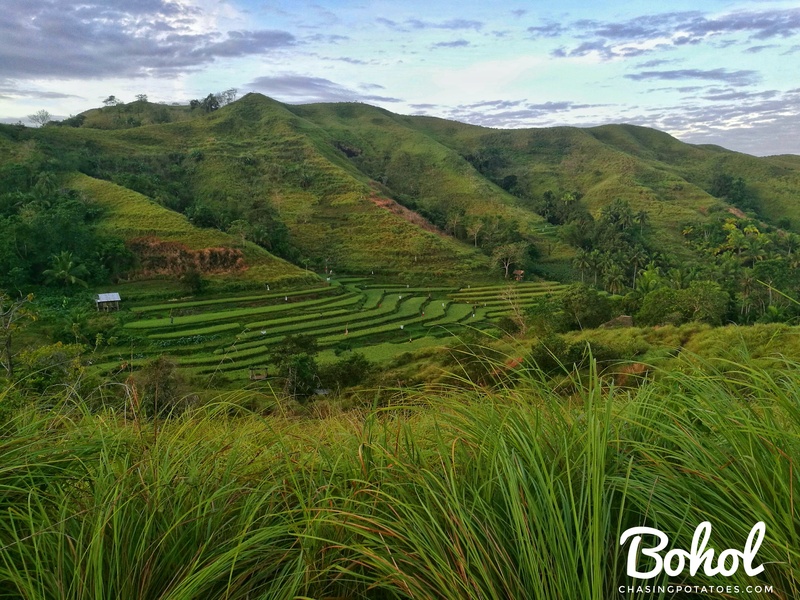 Rice terraces are simply a stunning artistic creation of man born out of an existing need. Tip. Strolling around and picture taking are allowed at the rice terraces but be sure never ever step on the rice fields and of course never ever touch the plants. Respect the farmers. Just below the Cadapdapan Rice Terraces lies another gem that Candijay proudly presents. It took us 428 steps in going down the falls. It was just easy because of the established trails and cemented stairways. And when we were almost near our destination we could hear the gushing whispers of nature’s cascading waters from rivers and falls. And in our final step, standing in front of us was the grandiose Can-umantad Falls which is considered as the tallest waterfalls in Bohol. It was a indeed high, with a mini catch basin where one could take a dip and drenched himself in that mini pool. What’s interesting about these two? The Falls and Rice Terraces are perfectly matched for each other, the water from the falls serves as irrigation to the rice fields. Awesome isn’t it.? Tip. Always be careful with your steps when going down Can-umantad Falls. Climbing beside the waterfalls is strictly prohibited. Most importantly, relax and enjoy the show. The name “Canawa” comes from the Bisaya term “kawa” a cooking pan in the kitchen. So basically the shape of Canawa Spring is like a cooking pan. Our last destination was the Canawa Spring. 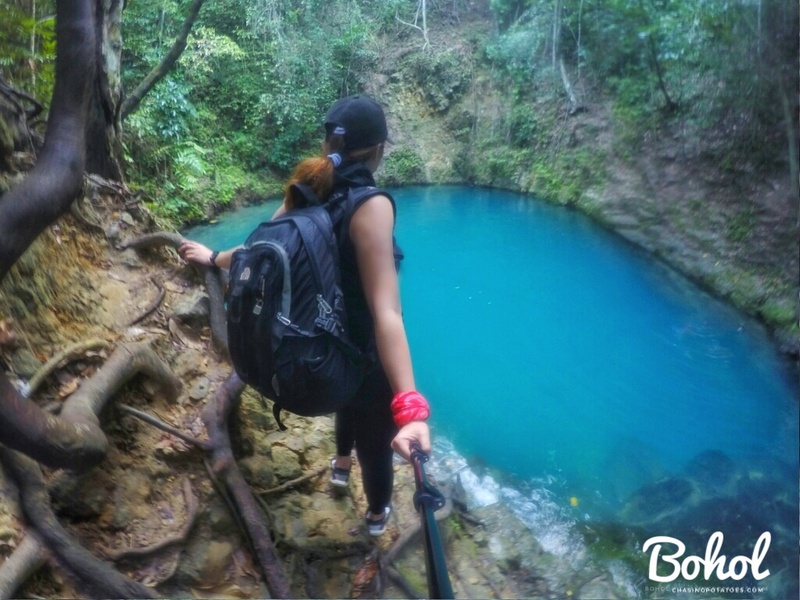 It is dubbed by the locals as the Enchanted River of Bohol for its blue water is so deep that the spring bed has never been reached. The spring water is so cold that one could really enjoy dipping in these waters to minimize the scorching heat nowadays. Tip. The water in Canawa Spring is too deep for swimming. Use life vest in case you don’t know how to swim. Just be extra careful. Tip. From Danao to Candijay, it was about a 4-hour van ride. We rode in two vans, one from Danao to Tagbilaran, the other one from Tagbilaran to Candijay. It was that long. But I wasn’t aware of the long time we spent in the vans because I slept the whole time. Good thing, my weary eyes and body were able to rest and slumber after having no sleep at all in Danao. Haha! Anyway, after arrival we chartered a motorbike taxi and agreed at the price of Php 250.0 back and forth. (Places covered were Cadapdapan Rice Terraces, Can-umantad Falls and Canawa Spring. After our tour in Bohol, it was now to time leave. We opted to go to Ubay Port to go back to Cebu because it was the port near Candijay. So please watch my VLOG and discover how we managed to take this tour over the weekend. It shows the sequence of our activities. Itinerary and expenses are posted in the video and in my YouTube as well. So if you enjoy watching my videos, don’t forget to like and subscribe. Those naughty potatoes roll so fast that I could hardly catch up with them in BOHOL. I wonder what place will they be venturing next. So stay tuned for my next chasing potato adventure. 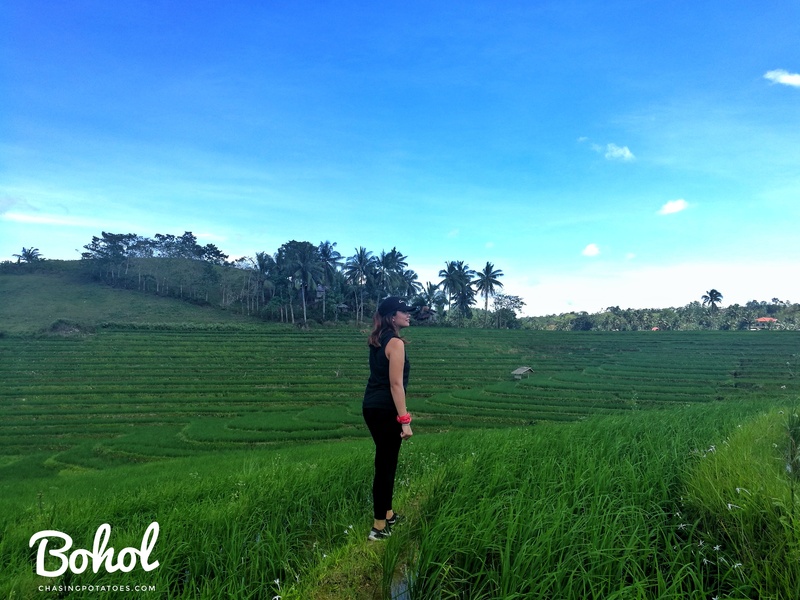 I fell in love with Bohol. It was worth the time, effort and money to have visited some spots in Bohol. How about you? 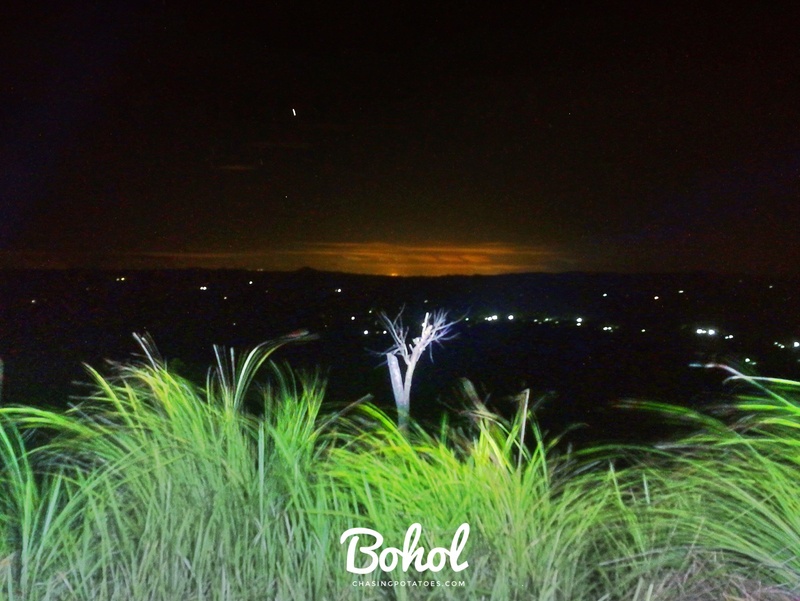 What other places in Bohol can you recommend as worth visiting? Let me know your thoughts…Please connect thru my FB page and Instagram. Join me in my adventure and misadventure. Let’s chase those potatoes. OH YESSS! Thanks for visiting. 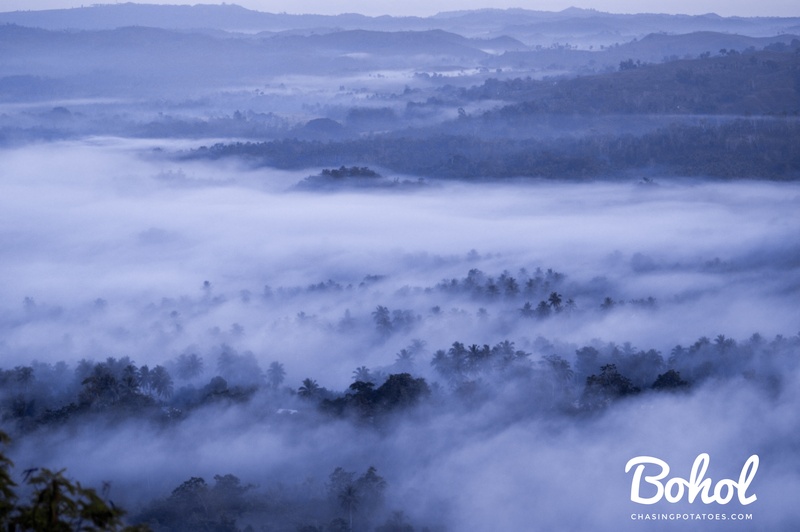 This is the first post I read about the sea of clouds in Bohol. Most of the places that we, Filipinos, go to are mostly in the northern part of the Philippines. Great! Thanks for the info! This is such a interesting post – I’d never heard of the Sea of Clouds and I adore your photos and storytelling. I love your extra details on other hikes and tours too, its so useful for anyone visiting the area! Love the name Chocolate Hills! Why are they called that? The sea of clouds looks really mesmerizing. A scene that is so surreal, as if in a dream. The beauty of the chocolate hills too is really ethereal. 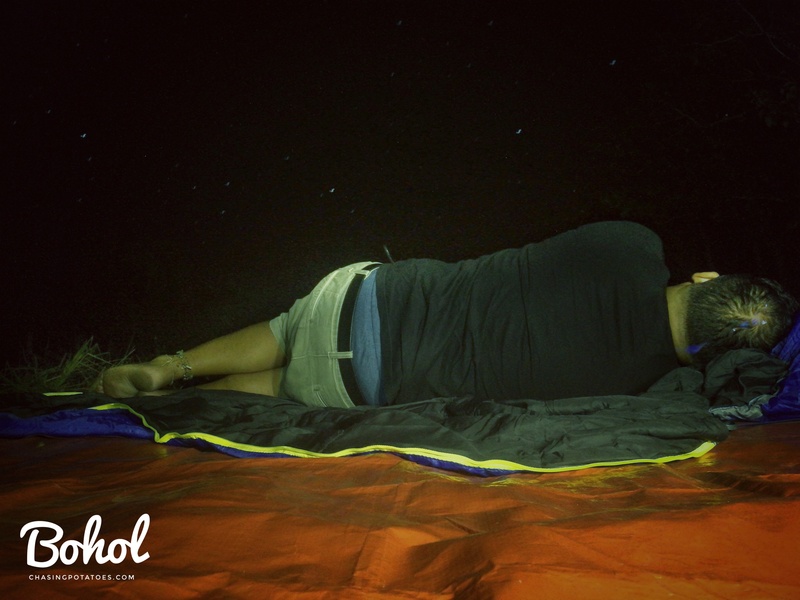 Waking up or sleeping under the stars and clouds must indeed have been a great experience. 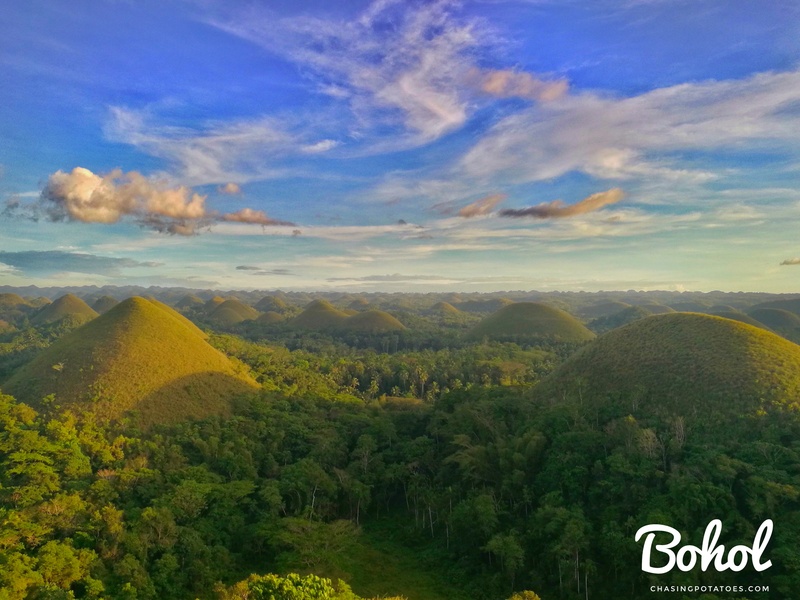 I have wanted to visit Bohol for so long now for the chocolate hills. Knowing about the sea of clouds as well makes me want to visit even more. The Philippines is such a beautiful country. WOW! This is so beautiful! I want to copy your trip! Hopefully I can do that one day! 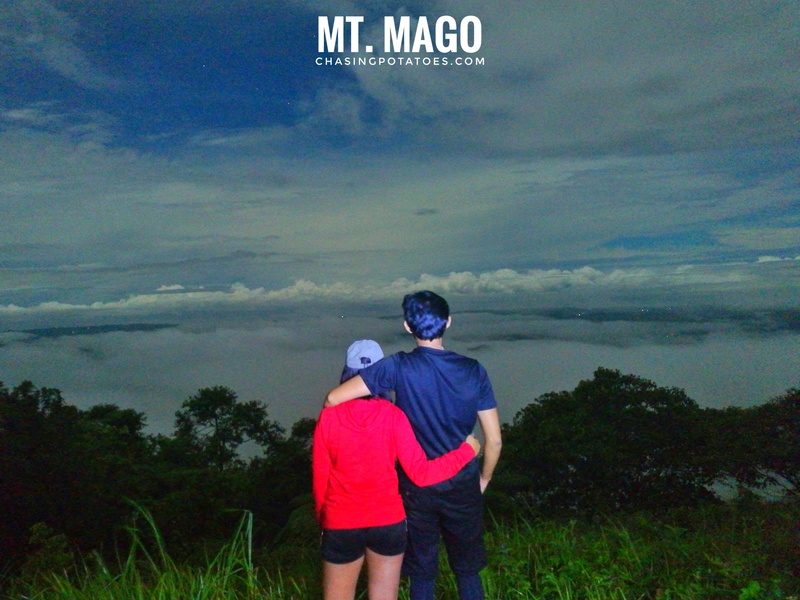 Wow, I love reading your experience and how to witness the clouds whilst on the mountains of Danao. Fantastic read and love seeing the photos. Sea of Clouds looks like the perfect place for photography. I’d love to do a timelapse there. Chocolate Hills landscape also looks really cool. A lot of terrific places to check out and I hope I’m fortunate to see all these things during my Philippines visit. That was definitely an experience of a lifetime. The photos are amazing, never thought Bohol to be such a place! Now it’s for sure on my list now! That was definitely an experience of a lifetime. I mean the pictures are so out worldly I can only imagine how you must have felt seeing the sea of clouds! Bohol sure needs to be on my list now! wow I am spending a lot of time on Instagram but somehow I have never seen this Sea of Clouds before! They look amazing ! Philippines suprise me eveytime I am reading new blog post about that country! I really need to go and visit soon! Your photos are amazing! I’ve heard of the chocolate hills in Bohol but never the sea of clouds. 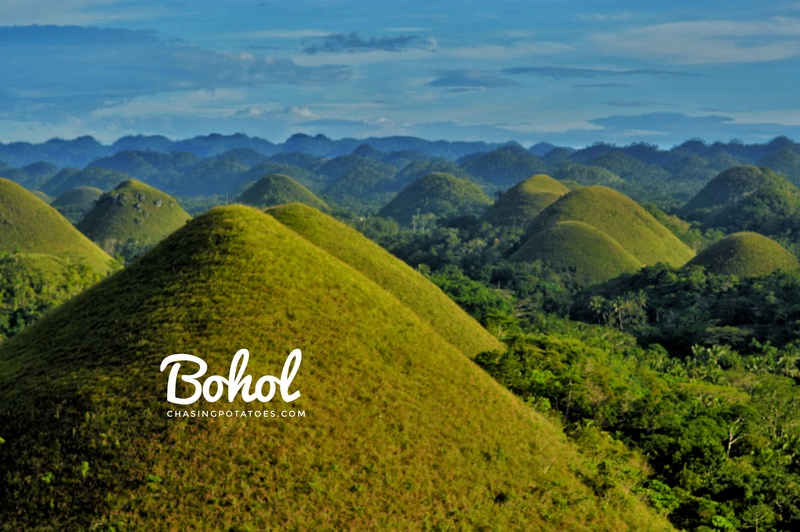 I really want to visit Bohol and you’ve just given me another reason to make it my next destination! Great read. Great photos. I really enjoyed the adventure. The sea of clouds really did look amazing. The scenery with the clouds was awesome. The side trips looks really cool as well especially the rice terraces and chocolate hills. Seems like a truly fabulous trip. I’m sure when you closed your eyes for the next few days, all you were seeing were seas of clouds, chocolate hills and gushing waterfalls. I wish we’d known about these mountains when we were in Bohol. 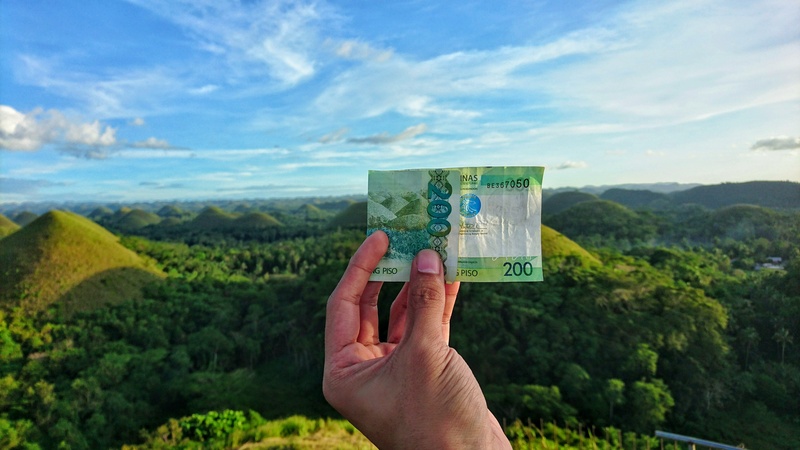 We went to the Chocolate Hills and they were pretty underwhelming! These looks incredible though! Oh wow, that looks and sounds like an amazing experience. I love the sea of clouds list of dos and don’ts! 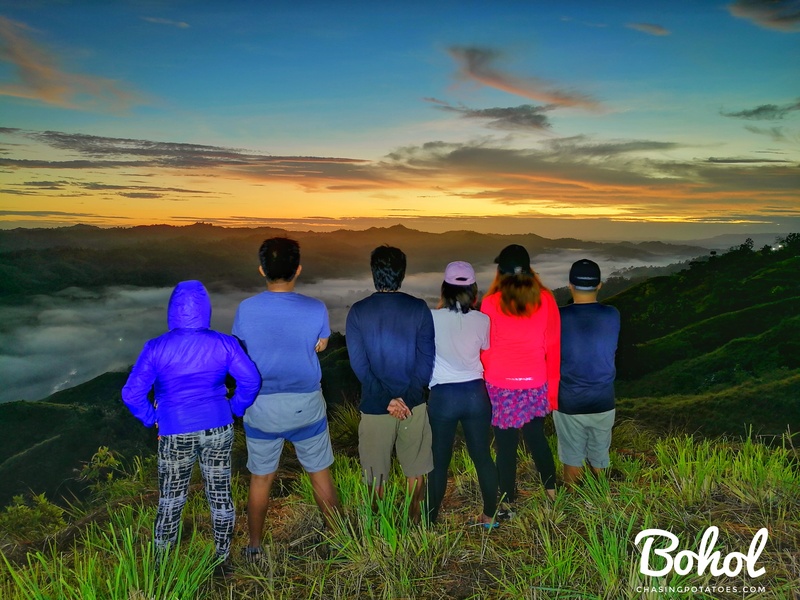 You truly had a great time in Bohol together with your traveler friends. 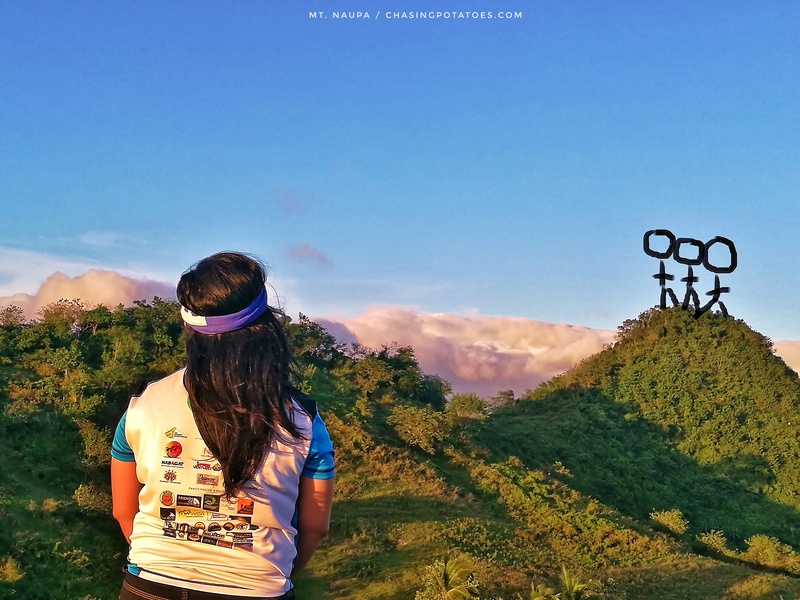 I was really planning to see the sea of clouds in Danao just before it was getting viral on the internet, but due to unforeseen circumstances, I wasn’t able to make it. Last week, I visited Bohol again and plan to go there, sadly because of another unforeseen situation, I wasn’t able to make it once more. Anyhow, I truly enjoy reading this post about how you actually dream to reach the summit of Mt. Pulag to your long motorcycle ride going to Danao. 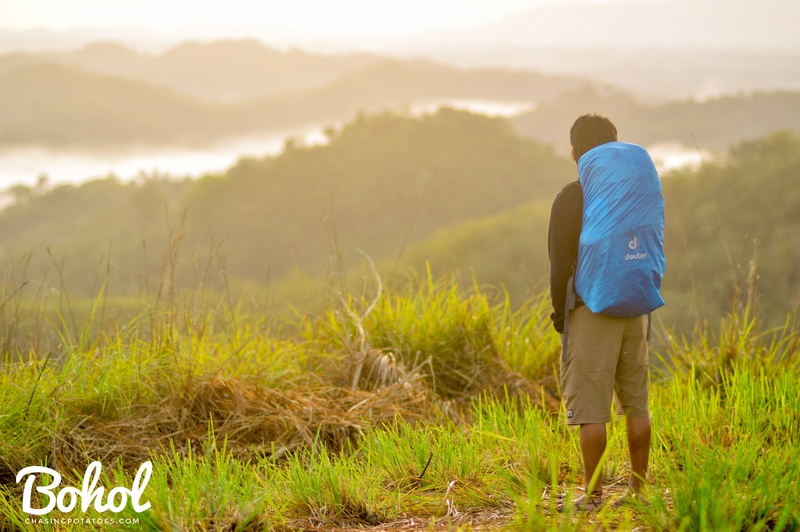 I didn’t know that camping at the Sea of Clouds is okay, I’ll certainly be going back to Bohol and experience what you guys have experienced. Your night shots are always awe-inspiring. I’m certain that you guys had so much fun and you’ve flirted with so many places to see and experience. The sea of clouds is really beyond compare. Thank you so much for sharing! Woooow! Such a wonderful experience babe, Such a great photos. Love it! Wow such a wonderful experience and beautiful things to see along the way. Super like! Makes me drag the hubby to Bohol now. huhuh. Kanindot oi. 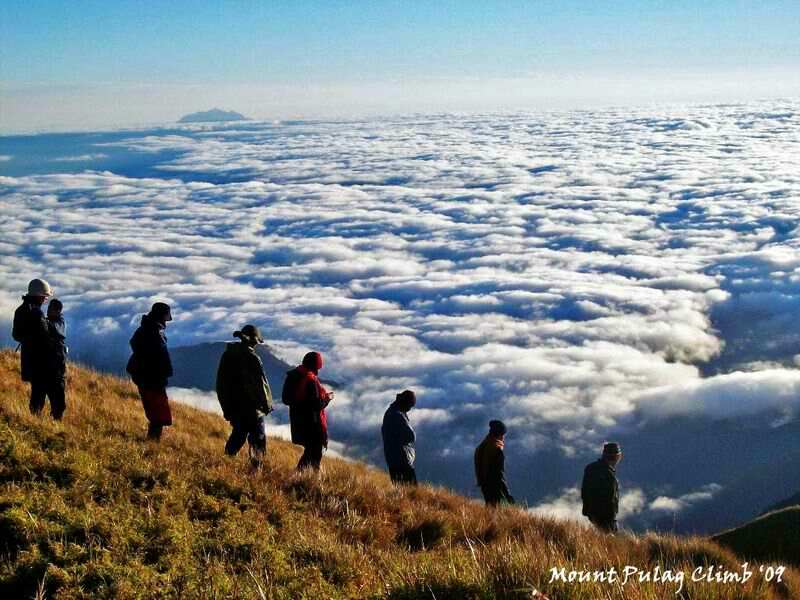 Would like to visit Danao and witness the sea of clouds as well and also the side trip places. This is a handy guide. You are such a wonderful photographer! Not only a wonderful photographer sir but an amazing writer as well. sus, na-uwaw na nuon ko sa akong kaugalingun kay taga-Bohol ko pero wa pa ko kaanha diha! Paka-uwaw!!! What a marvelous adventure. The Sea of Clouds is something very special. Thank you for sharing. Would like to visit there soon! Thanks for this! It must have taken an enormous amount of time to create this post. As a reader, I can’t begin to thank you enough. The pictures along with all your explanations made this feel like a real adventure. I hope you and the gang enjoyed themselves as much as I did simply reading about it!